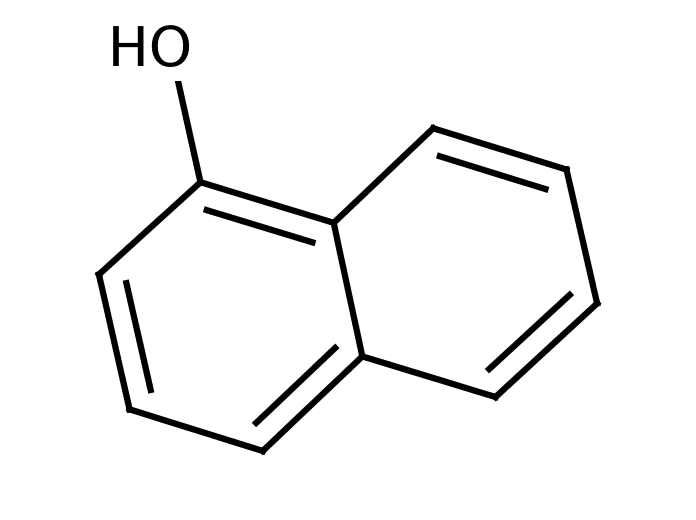 1-Naphthol is used as a precursor in the manufacturing of various azo dyes and pharmaceuticals such as nadolol. It is used as biomarkers. It is used in analytical chemistry as Molischs reagent (1-naphthol dissolved in ethanol) for checking the presence of carbohydrates. It plays an essential role with sodium hypobromite to detect the presence of arginine in proteins, which is called as Sakaguchi test. Send us your enquiry for 1-Naphthol. We offer custom pack sizes at special prices. We aim to respond to your enquiry within 24 hours. We value your input so if you have suggestions regarding new applications for 1-Naphthol email us and we will include your contribution on the website.